As he watched our graduating students cross the stage at spring commencement, Dr. Karl Titz took a moment to reflect on the past 20 years he has spent at Hilton College. With his upcoming retirement, this would be the last ceremony he would attend as an associate professor. Dean Dennis Reynolds officially shared the news – and announced that Dr. Titz had earned the title of “professor emeritus” – during the Faculty and Staff Awards Luncheon, held earlier this month at Hilton University of Houston. He also presented Dr. Titz with a chair engraved the University of Houston seal and his years of service as a token of appreciation for his dedication to the College. Dr. Titz came to Hilton College in 1999 with a Ph.D. in Hospitality Administration from Kansas State University. He also holds an AA in Business Administration and Management from City College of San Francisco, and a BS and MS in Hotel Administration from University of Nevada, Las Vegas. Prior to earning his advanced degrees, Dr. Titz spent decades in the kitchen, starting as a dishwasher and even working as a chef at Yosemite National Park. When the corporate world came calling, he rose through the ranks, ultimately serving as executive chef for Marriott Hotels. His work took him all over the country, including California, Denver, North Carolina and Nevada, where he was part of the opening teams for The Mirage and the MGM Grand in Las Vegas. When he switched gears to education, Dr. Titz set his sights on Houston, where he has stayed ever since. At Hilton College, he has taught Restaurant and Food Production, Operations and Management, RV Resort Operations and Management, and Consumer Behavior. He’s also kept his heart in the kitchen, volunteering to lead the Gourmet Night kitchen team for six years. As he prepares for life outside the classroom, Dr. Titz said he’s looking forward to staying busy. He’s the owner of AmeriCana Birding Center RV Resort in Mission, Texas, a property investment venture that stems from his love of RVing and the outdoors. In fact, one of his best childhood memories is camping in Nevada’s Pyramid Lake with his father’s new Airstream. He also has plans to garden, rehabilitate old furniture and create experimental art pieces. And, he plans to travel the world even more than his teaching schedule ever allowed him. There will be transatlantic flights, or he might purchase an RV of his own. The best part of it all? He can set his sights anywhere, and at any time. 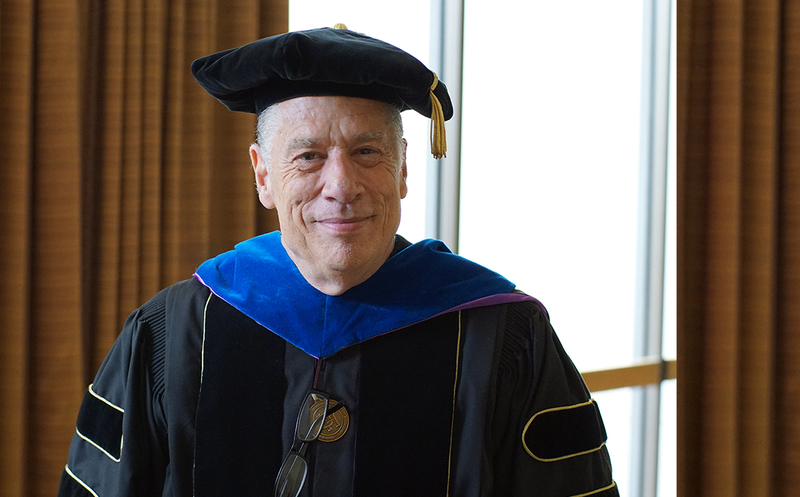 Congratulations, Professor Emeritus Titz, and onward to your next spectacular journey!